That tree on the left looks to be leaning quite precariously..... Have been keeping an eye on your temps.....so cold. Hope the T is back on schedule. Boston is so beautiful in winter. Correction. 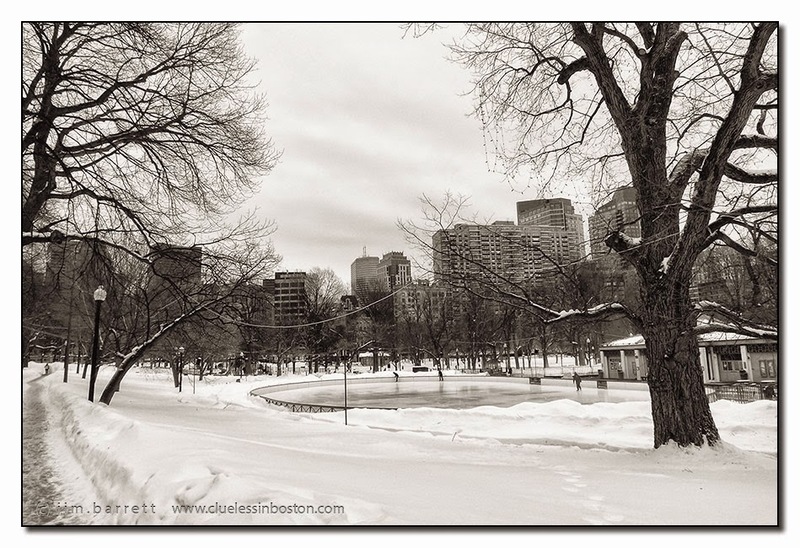 Boston is beautiful in all seasons. again magic ! never saw Boston with the snow, it seems really fantastic ! I'm guessing about the mood : almost noone around , the cold , and , coming from the skate park , a lovely music in the air ..Great moment ! Looks like most people were tucked up somewhere cosy and warm. Don't blame them! We've been hit this winter. Boston has been blindsided again and again. I agree with Jack. On the plus side it adds to the beauty of Beantown.